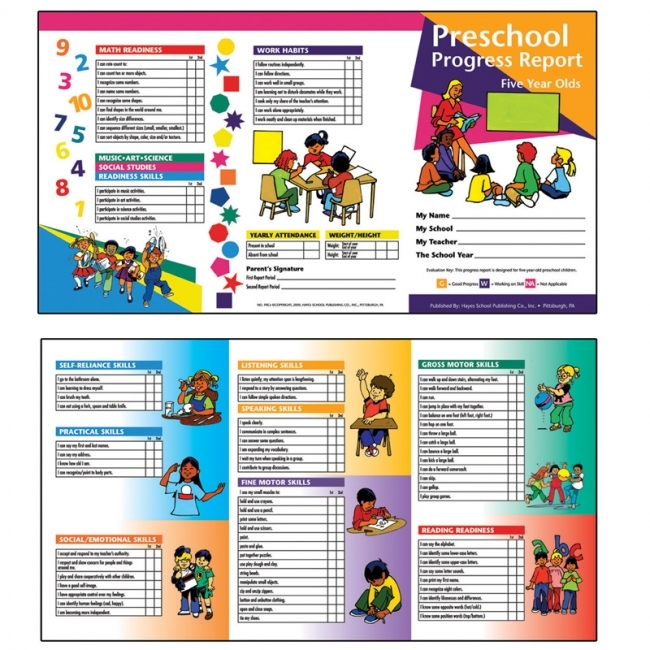 These progress reports provide a detailed listing of achievements for the school year in various curriculum areas. 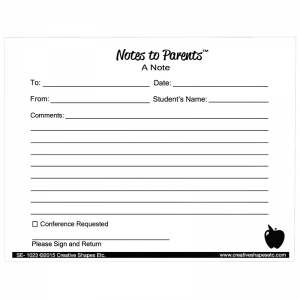 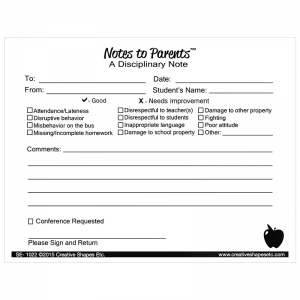 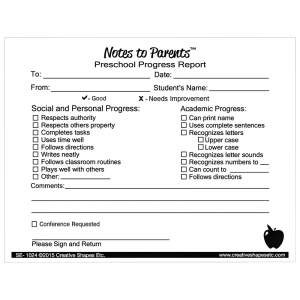 They help parents appreciate the progress their children have made. 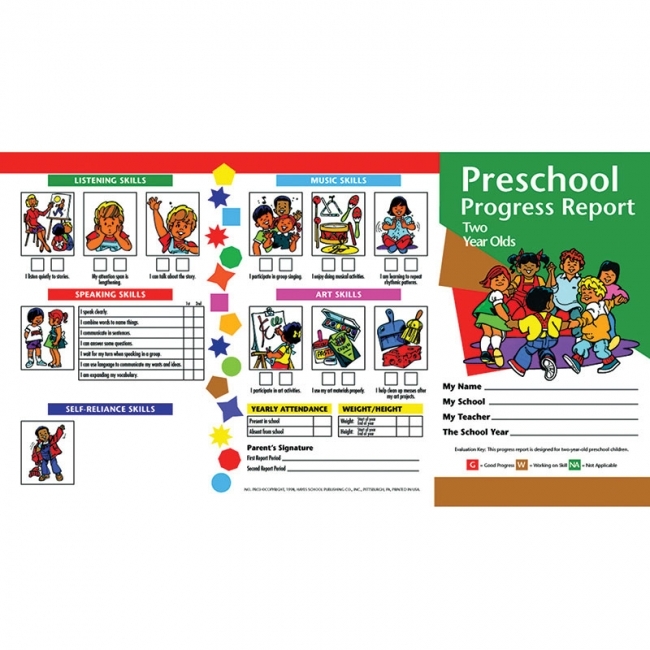 Areas included are social and emotional skills, gross motor skills, fine motor skills, and language skills. 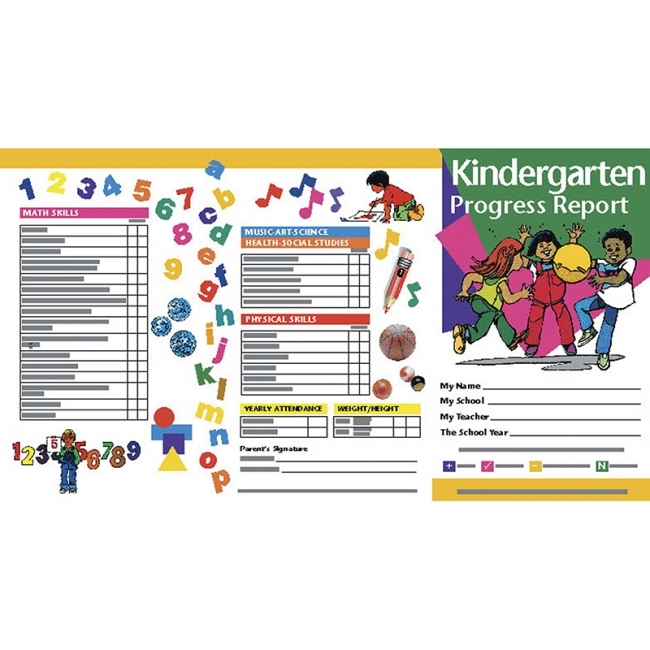 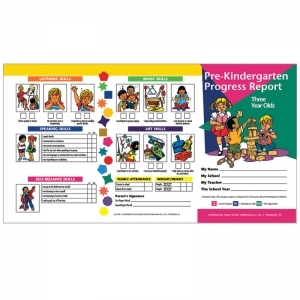 These progress reports provide a detailed listing of achievements for the pre-kindergarten year in various curriculum areas. 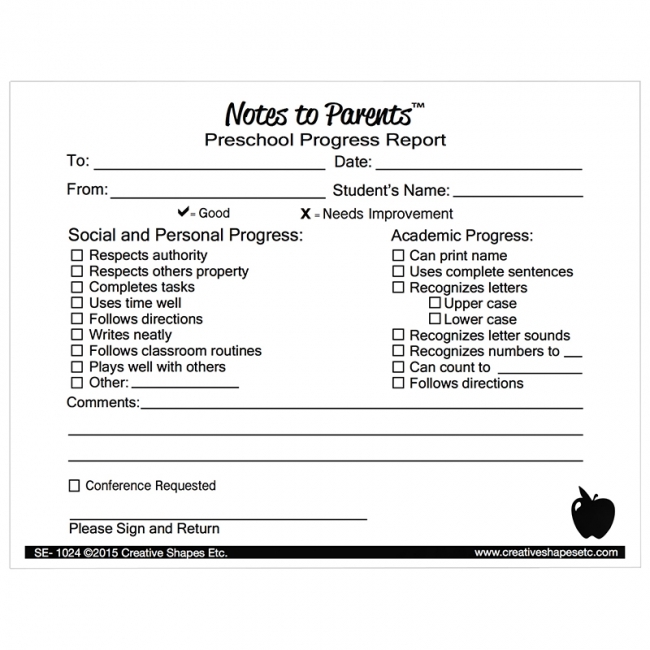 They help parents appreciate the progress their children have made. 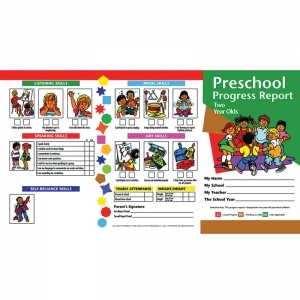 Areas included are social and emotional skills, work habits, fine motor skills, gross motor skills, reading and math readiness, body parts, listening and speaking skills, self-reliance skills, music skills, and art skills. 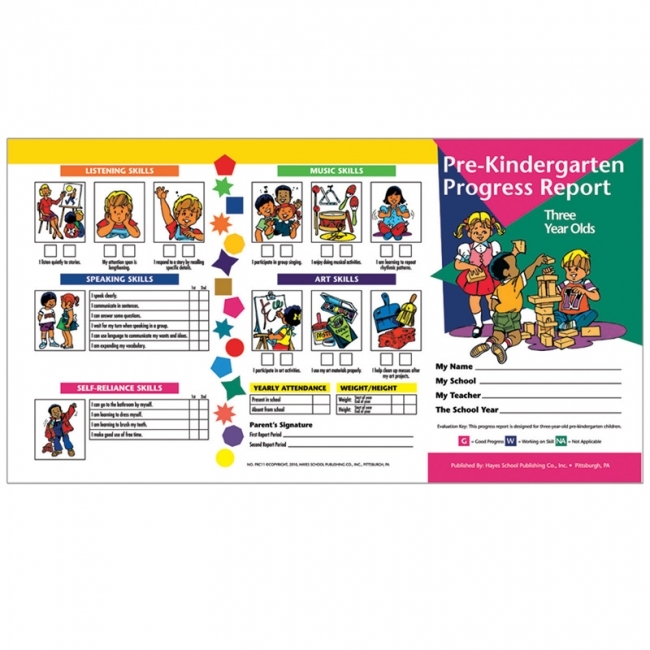 These progress reports provide a detailed listing of achievements for the pre-kindergarten year in various curriculum areas. 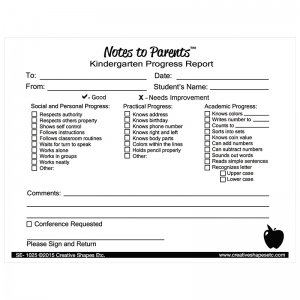 They help parents appreciate the progress their children have made. Areas included are self-reliance skills, practical skills, social and emotional skills, work habits, listening and speaking skills, fine motor skills, gross motor skills, reading and math readiness and music, art, science, and social studies readiness skills. 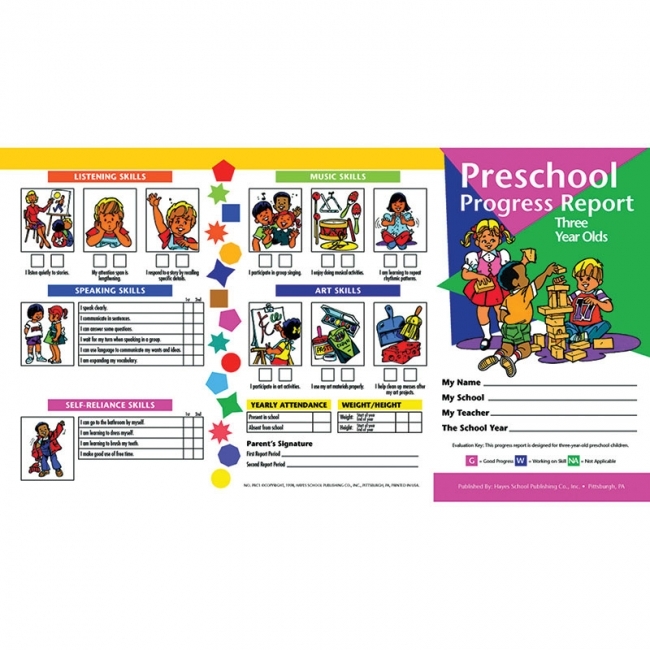 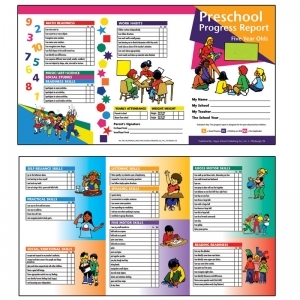 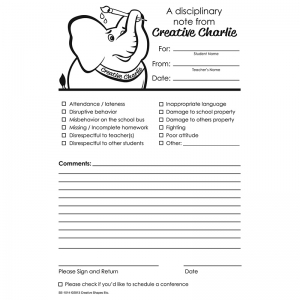 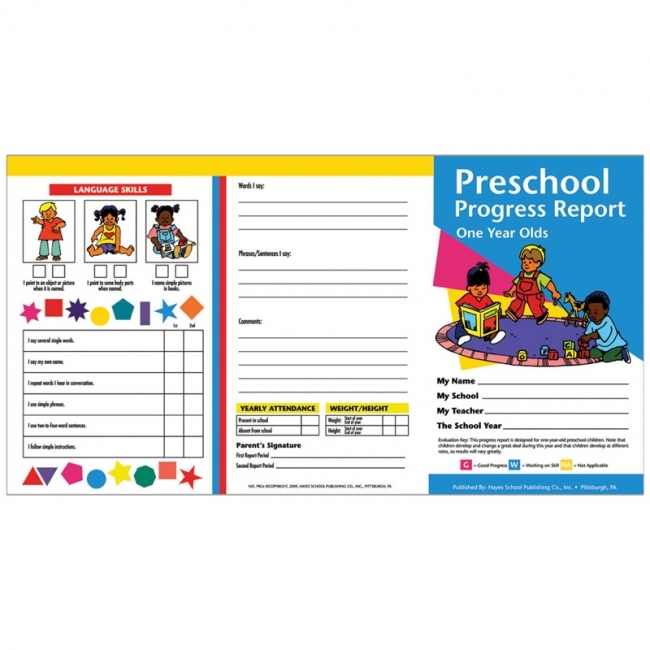 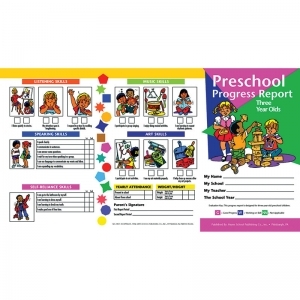 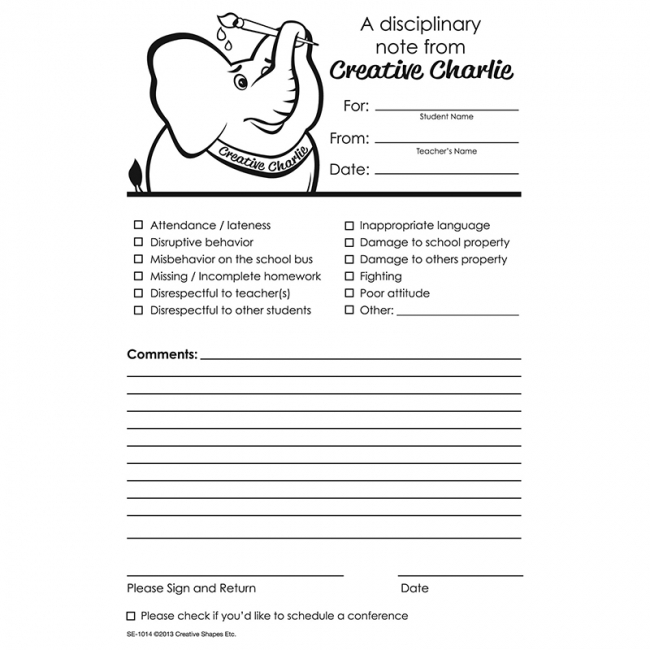 These progress reports provide a detailed listing of achievements for the preschool year in various curriculum areas. 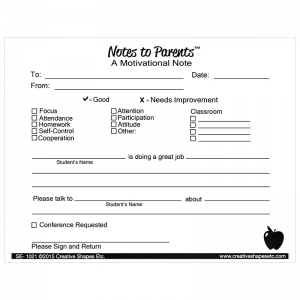 They help parents appreciate the progress their children have made. 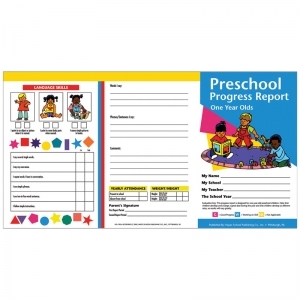 Areas included are practical skills, social and emotional skills, work habits, listening and speaking skills, fine motor skills, gross motor skills, reading and math skills and others. 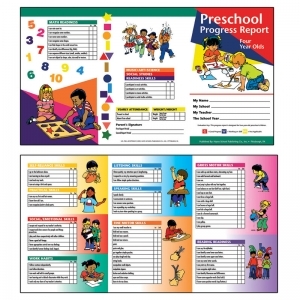 These progress reports provide a detailed listing of achievements for the preschool year in various curriculum areas. 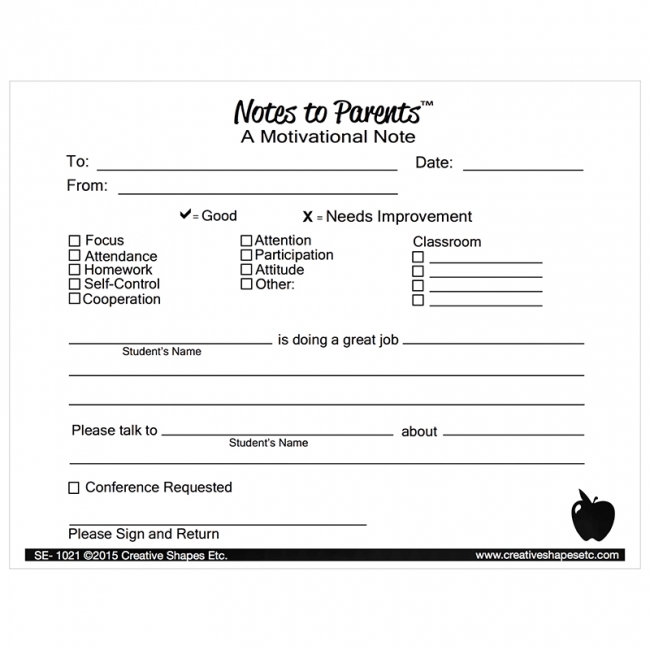 They help parents appreciate the progress their children have made. Areas included are self-reliance skills, practical skills, social and emotional skills, work habits, listening and speaking skills, fine motor skills, gross motor skills, reading and math readiness and music, art, science, and social studies readiness skills. These progress reports provide a detailed listing of achievements for the preschool year in various curriculum areas. 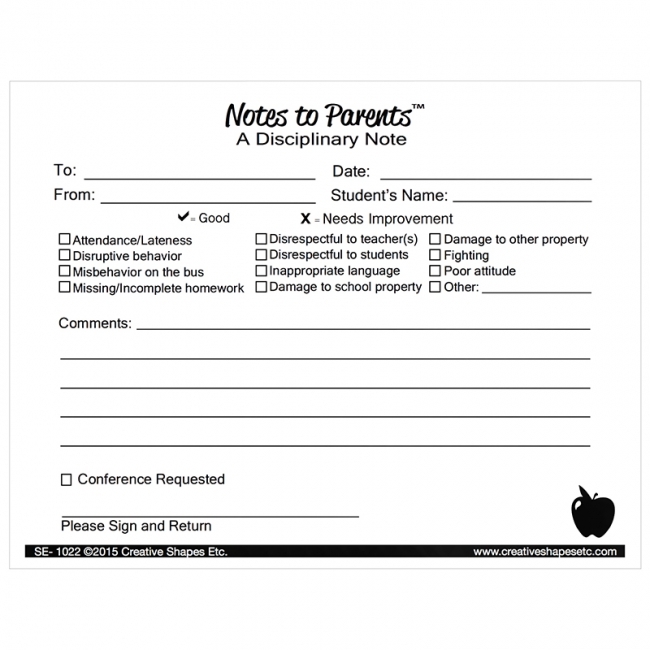 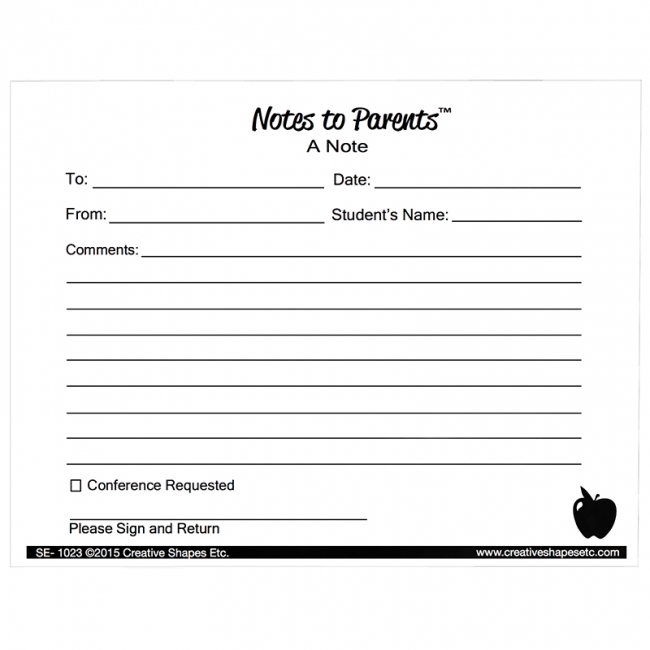 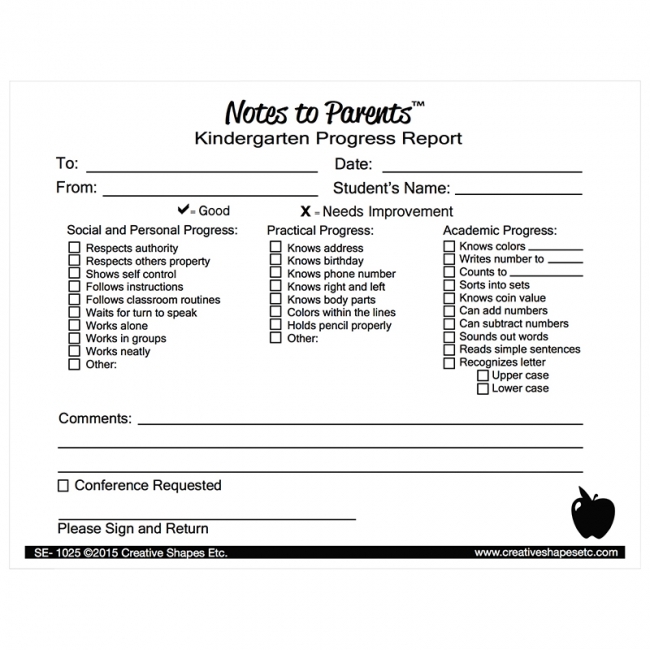 They help parents appreciate the progress their children have made. 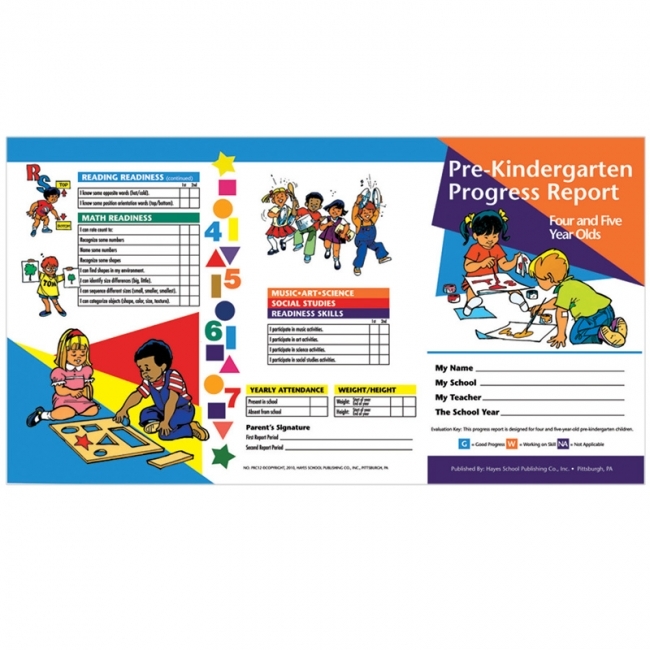 Areas included are self-reliance skills, practical skills, social and emotional skills, listening and speaking skills, fine motor skills, gross motor skills, reading and math readiness and music, art, science, and social studies readiness skills, and work habits.